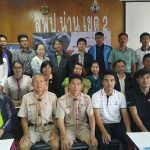 January 25, 2019 – – The Safe School Zone Site Visit was conducted at 3 schools in Nan province. 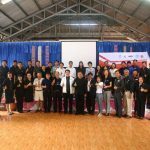 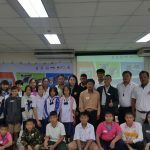 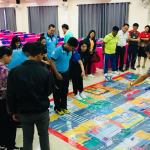 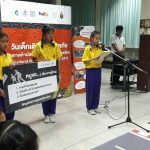 This activity led by Safe Kids Thailand under the Child Safety Promotion and Injury Prevention Research Center together with Mr. Channarong Waiyapoj, an engineering faculty from Kasetsart university, and Mr. Dilok Lertkriangkraiying, from NIPPON CHEMICAL CO. LTD., with supported from FedEx. 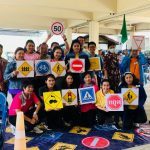 The activity carried out a risk survey in school zone as well as provided risk environment modification on roads based on traffic engineering principles.